Wow! I've been working on this project to 2 weeks. I am having a blast! Today was a long day (12.5 hours at work) and when I got home I wasn't sure what I was going to photograph. My local photography group is having a contest. The theme is "macro" so I thought I'd get out my macro lens and take photos of things around the house. I got a couple that I like but I am going to retake them with better lighting. 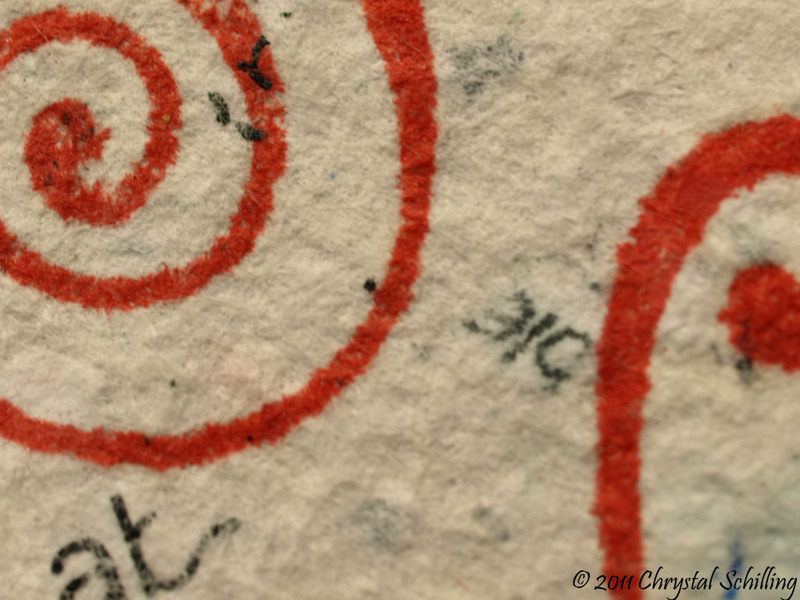 So, this shot is of a stamped piece of my handmade paper. The lens is as close to the paper as I can get. I thought it looked pretty neat at this range.